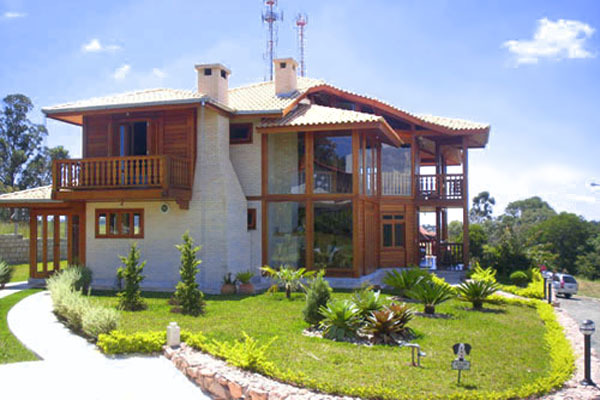 Casas Curitiba are pleased to present a beautiful, well-built, solid alternative to the expensive and time consuming construction of your home, cabin, office, recreation room or cabana. Our precut, prefabricated hardwood homes offer a value for money high quality product. 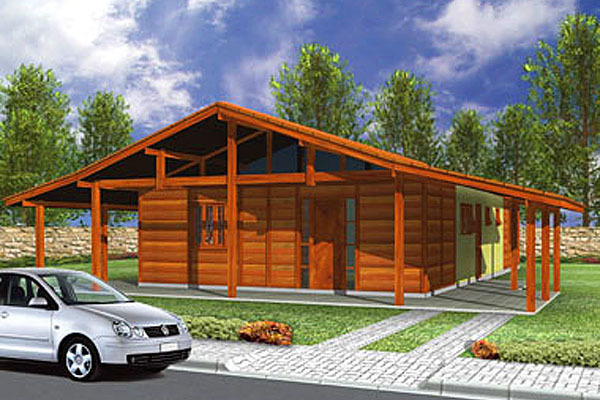 We can supply a simple carport; a one bedroom cabin of 35 sq. meters; a 200 sq. meter 4 bedroom home; a 1,000 square meter or larger hotel/motel complex. 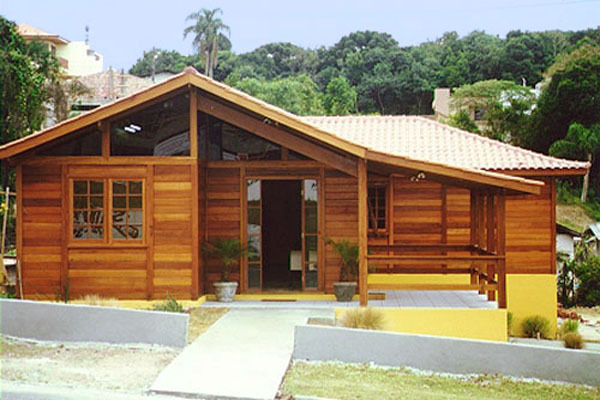 Our pre-cut homes are made from the finest Brazilian hardwoods and will arrive at your building site ready for immediate assembly. The Casas Curitiba Wood Kit includes all the hardwood parts for your home, including walls, solid hardwood floors and doors & windows that are precut and ready to assemble. If you choose the Finishing Kit, you will have a Spanish style tiled roof, and ceramic tiles for the walls & floors of the kitchen and bathrooms. 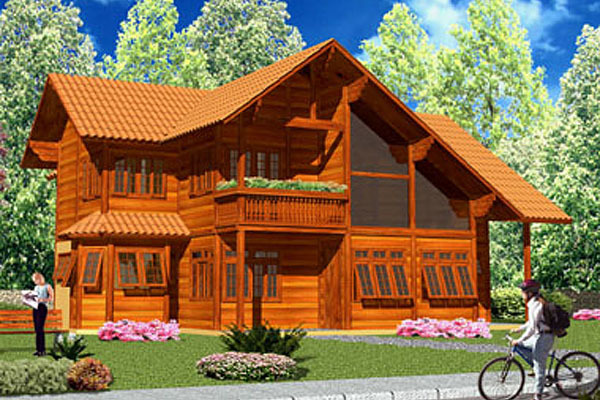 Your home or cabin can be provided with a double wall construction and extra insulation for cold climates. The roof can also be constructed to support heavy snowloads, or reinforced to meet local hurricane construction requirements. Our prices are very affordable and our professional team will work with you to meet your requirements. 1. Complete hardwood home kit in Grapia, with a standard wall thickness of 35 mm thickness. 2. 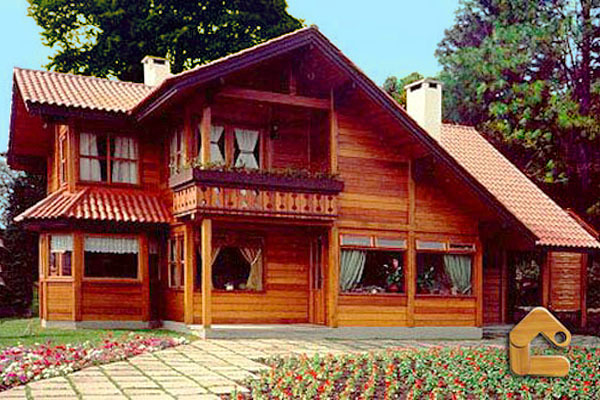 The wood for the roof is Grapia, Angelim Pedra or a similar alternative according to the specification. 3. Doors and Windows, according to the project. Please contact us today for more details on our wide range of Brazilian hardwood homes, or a free quotation on your next self build kit home.